Here’s to a good 2009. Perhaps it will be a less tumultuous year, with fewer fires, instance of economic instability and presidential elections. In accordance with New Year’s Tradition, here’s the customary Gosling of Good Intentions. May she insulate you in this new year with a metaphorical lining of down feathers. So who was your qualtagh? 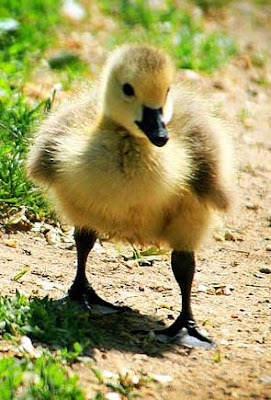 Are you suggesting that we de-feather this gosling? Because that's just a little disturbing. The insulation is made from dreams and wishes. Thanks for playing!